Finding inspiration wherever you go is a key characteristic of successful bloggers and content creators. Being able to act on an idea in the here and now can make the difference between a fleeting idea and a well-received masterpiece. Unfortunately, all too many people lack the tools necessary to capture the moment and/or act on those ideas. For those in the business of writing blog posts or other forms of content, having the right gadgets at your disposal makes a huge difference. 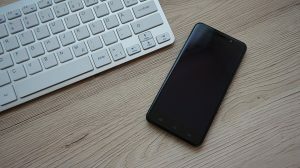 With hundreds of unique smartphones to consider, it can be difficult to make a choice that caters to both you and your lifestyle. Fortunately, we’ve put together a list of smartphones that are ideal for those who love to blog and create while on-the-go. While the BlackBerry brand was dead for the better part of a decade, its recent resurgence via the use of Android software has allowed a classic to return to the forefront. The BlackBerry KEYOne is a great phone for bloggers and content creators, offering power where it is most necessary. One great feature is the physical keyboard included with the device, which makes typing easier for those who hate touch screens or who have slippery fingers. Another massive advantage to this phone is its efficient battery life: you’ll be able to actively work for days on end in between charges. This flagship device falls in the middle in terms of price points. While it may not be the strongest multimedia device on the market, it is definitely one of the best options out there for those who love to communicate and multitask. When compatibility and seamless integration matter, no list of smartphones would be complete without the iPhone. The latest incarnation of Apple’s phone, the iPhone X, provides content creators and bloggers with plenty of multimedia potential, battery life and functionality. Whether you’re pinging URLs via posts to your audience through one of many unique apps on the App Store or interviewing leads in real-time via FaceTime, the phone excels. As the original communication tool, Apple has managed to smooth out many of the hiccups that you might experience with other devices and has integrated it into a well-known and easy-to-use smartphone that’ll keep any on-the-go worker satisfied. For content creators who need an inexpensive solution for on-the-go work, there may not be a better choice out there than the Moto G5 Plus. This phone (currently available for around $250) features 64 GB of storage that can be expanded, excellent battery life (15 minutes of charging will get you 6 hours of active life) and a sleek design. For active bloggers and content creators who need a more low-key device for video recording, interviews and other work in the field, the Moto G5 Plus is an excellent compromise. It provides all of the functionality of most higher-end smartphones but also comes at such a low price point that you can leave your more expensive gadgets at home and out of harm’s way. These three smartphones are great choices for bloggers in 2018, with each inhabiting a different price point in the smartphone market. Whether you’re pinging URLs, video or tweets to your audiences, these devices are sophisticated solutions that’ll help you get the most out of on-the-go content creation. « What Should You Consider Before Creating a Video?